The 110th Bitcoin MLB World Series! The 110th edition of the Fall Classic between American League Wildcard winner San Francisco Giants (96-76) and National League Wildcard winner Kansas City Royals (97-73) begins tonight! This will be only the 2nd time the World Series will feature two Wildcard teams with the Los Angeles Angels defeating the San Francisco Giants in a 7 game deciding 2002 World Series. American League Champions, the Kansas City Royals are 8-0 in Postseason play, sweeping the Los Angeles Angels (3-0) to win the American League Division and sweeping the Baltimore Orioles (4-0) to win the American League Championship. 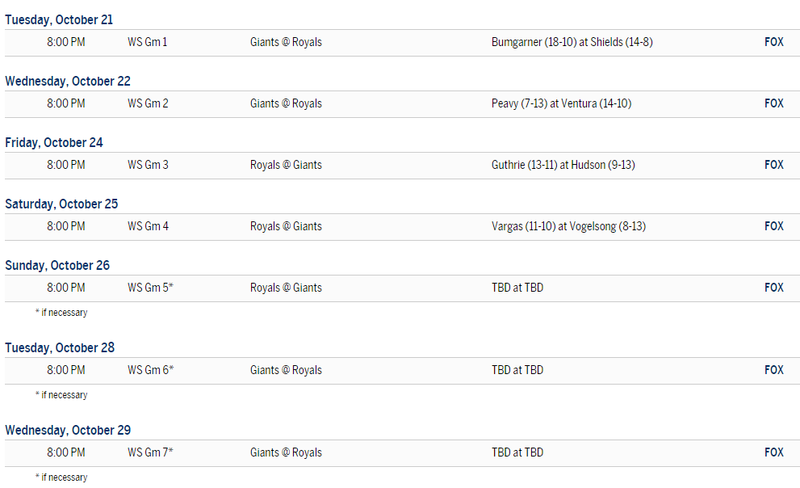 Kansas City is outscoring its opposition this Postseason 42-26. National League Champions, the San Francisco Giants are 8-2 in Postseason play, defeating the Washington Nationals (3-1) to win the National League Division and defeating the St. Louis Cardinals(4-1) to win the National League Championship. San Francisco is outscoring its opposition this Postseason 41-25. San Francisco has a total of 21 Pennants in World Series era: 1904-05, 1911-1913, 1917, 1921-24, 1933, 1936-37, 1951, 1954, 1962, 1989, 2002, 2010, 2012, 2014. 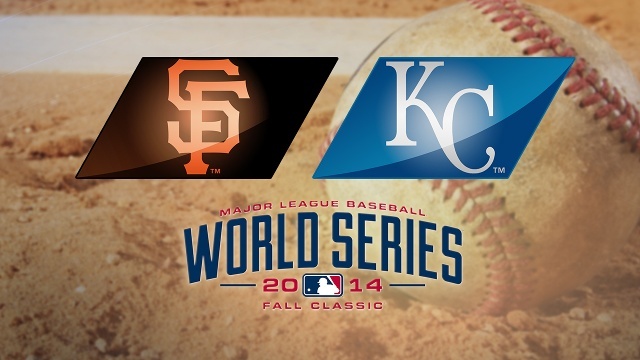 Kansas City is looking for its 1st World Series Pennant as they play host in this Best of 7 World Series. «Experience Provably Fair Bitcoin Casino Games! »Bitcoin NHL – Now offering Overtime-Included Lines!